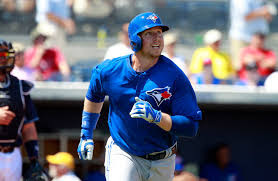 TORONTO - The Texas Rangers were in line for the win in the Rogers Center on Rougned Odor's lead-off home-run until Justin Smoak answered with a no out home-run in the bottom of the ninth. Then with one man on, slammed another opposite field winning home-run in the bottom of the tenth to walk off the Jays. The four game home series is now tied with the Rangers one game each.